Despite already being based on a long-running comic franchise, the CW’s upcoming Archie adaptation Riverdale will soon be getting a comic book of its very own. io9 is reporting that the series—produced by superhero show mastermind Greg Berlanti, and showrun by Supergirl’s Roberto Aguirre-Sacasa—is receiving a prequel comic to set up the soapy, murder-based mysteries plaguing its ostensibly normal American town. Aguirre-Sacasa (who’s the current Chief Creative Officer of Archie Comics, in addition to his TV work) will write the comic, with Alitha Martinez handling the art. 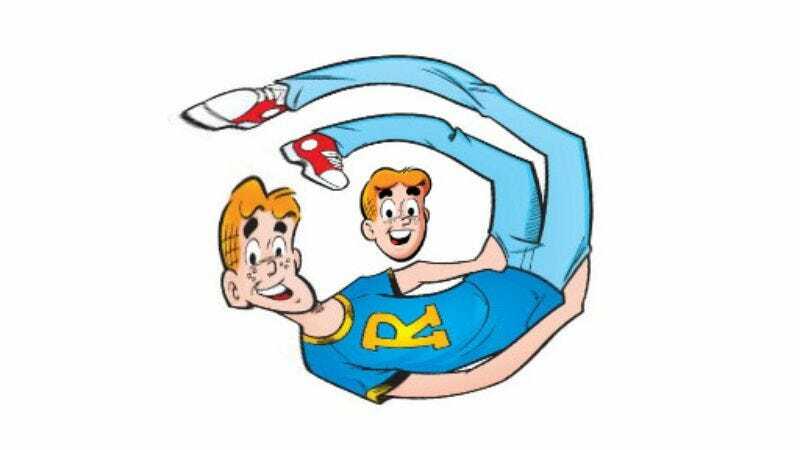 The book will presumably set up the show’s pilot, in which All-American teen Archie Andrews returns to Riverdale after a summer away and the mysterious death of one of his classmates. (In case you hadn’t heard, the new Archie show is kind of nuts.) The comic will presumably shed some light on the death, as well as his affair with a teacher (see above note) and the rift between him and his former best friend, Jughead Jones. The comic is currently being planned as a one-shot, although the apparent hope is to find a way for it to continue, intersecting with the show at regular intervals. Heroes tried something similar once upon a time, to muted effect, but its web-posted comics didn’t have the pull of Archie Comics behind them, with the potential to draw the entire Riverdale-Archie construct into the unending circle of ginger hair and geometrically improbable love triangles known as the Archieborous when the show debuts next year.